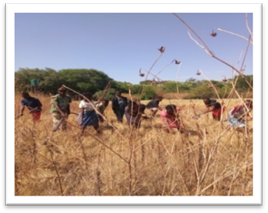 Here is an update from MEC on activities in the last year. 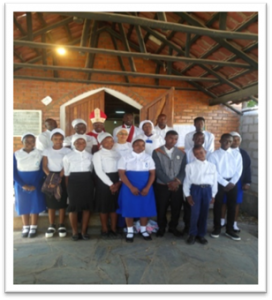 We hear about the children at St Nicholas Child Care Facility, some of whom are preparing for their end of year of exams. 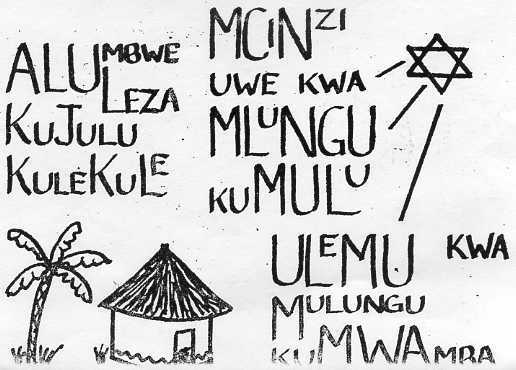 In July there was a youth conference held in Mwembeshi, including some children from St Nicholas. 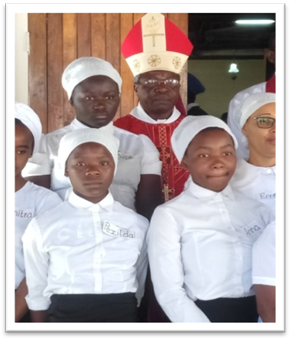 A confirmation service at The Church of the Good Shepherd Makeni saw children from St Nicholas confirmed: Pexilida Hanyimba, Basil Tembo, Anna Tembo and Bupe Bwalya. The Girls’ Brigade took part in a competition that included Bible quizzes, poems and handicrafts, as well as more physical contests such as relay races. 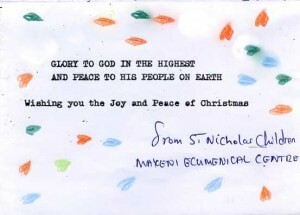 The Church of the Good Shepherd won a first prize trophy! 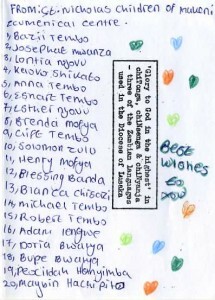 Peace Club held at event at the centre in October attended by 520 pupils and teachers from around Lusaka. Rains arrived, though the farmers await a good downpour to soften their fields. 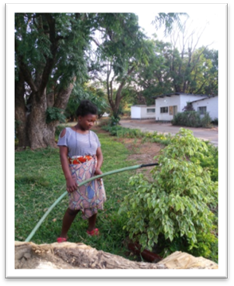 The children at the centre have also been keeping a vegetable patch. 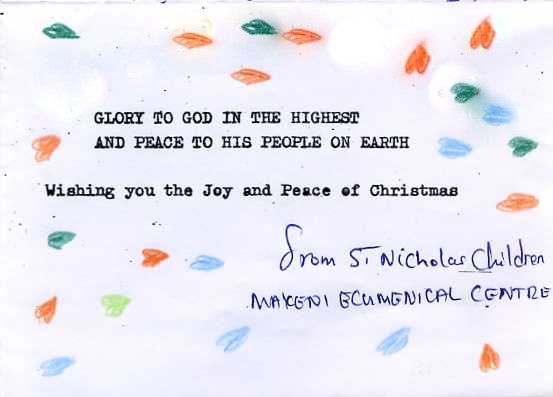 The staff and children at the centre wish all of our supporters a very happy Christmas and rich blessings in the new year. The 2018 newsletter is available here. 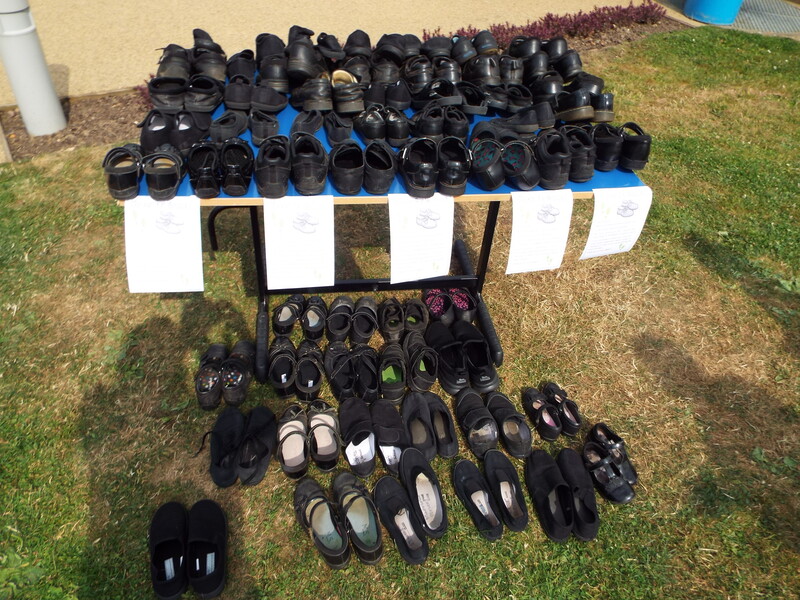 Pitsford Junior School, Northamptonshire, has been supporting MEC for some years now under the banner of ‘Pennies for Makeni’, and the children of the junior school have been making small donations that have been steadily adding up to really useful financial contributions to the centre. 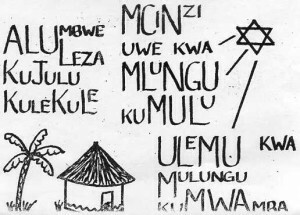 I have also had the pleasure of speaking at two assemblies, where the children have been wonderfully enthusiastic, joining in with our exploration of the geography of Zambia and even a few Chinyanja phrases! If that was not enough, the school recently decided to donate their old pairs of shoes to the centre. Fifty pairs of shoes were collected, and with the help of Julia Willmott’s transportation, and shipping through Operation Sunshine in Folkestone, we were able to get the shoes to Zambia. 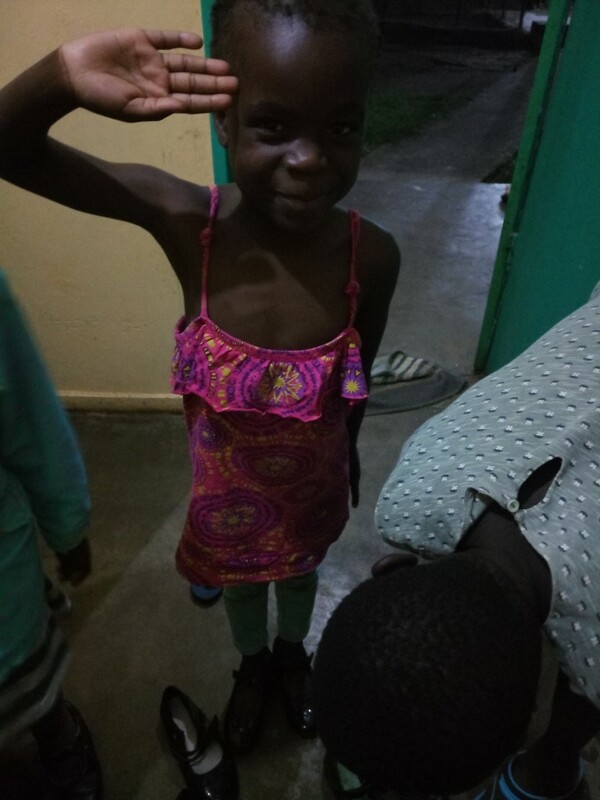 After a hiatus caused by the recent cholera outbreak, during which all schools in the area were closed for safety reasons, we finally were able to start giving the shoes to our own pupils in Makeni. 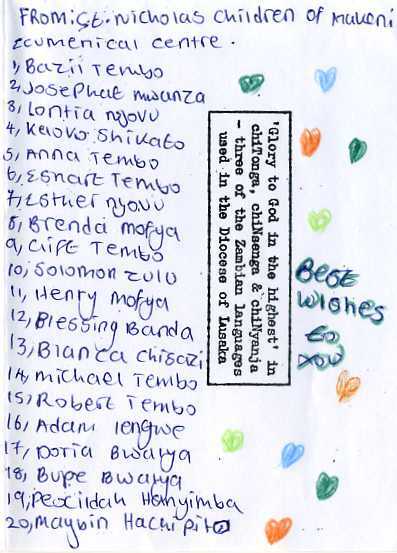 We the children of St. Nicholas Orphanage in Lusaka Zambia would like to say a very big thank you to you and your teachers. 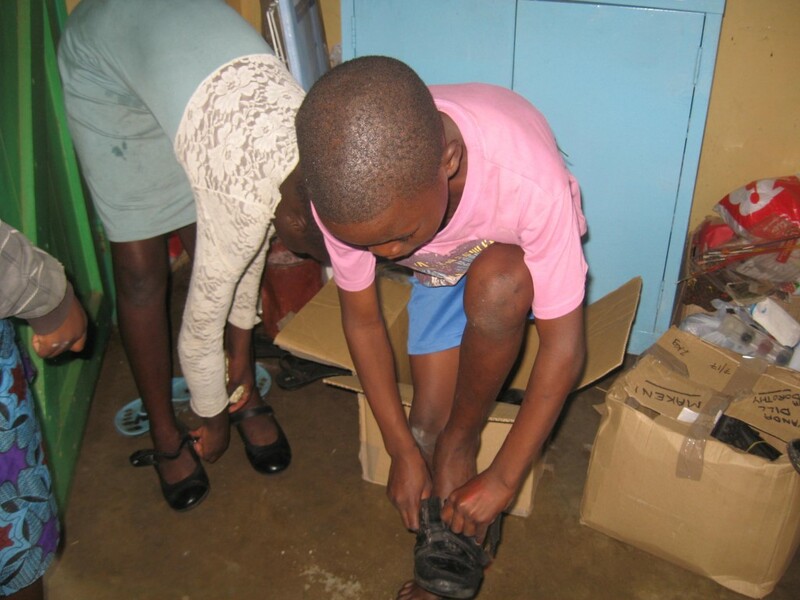 Thank you for the boxes of very nice shoes that you took the time and trouble to collect and post to Zambia. 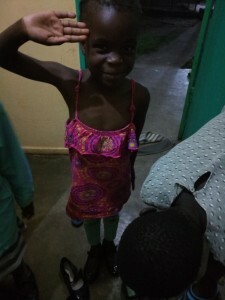 It was a very big job and we are very grateful for your love and care. 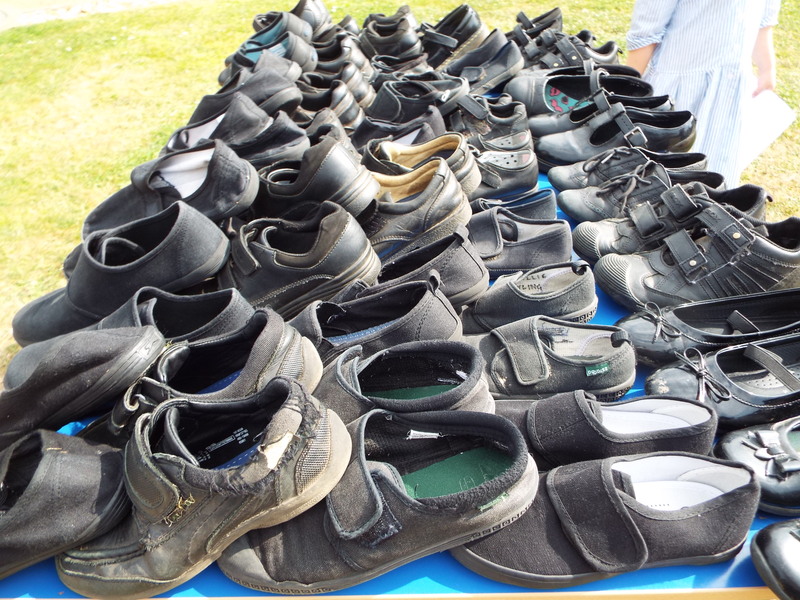 We are going to try to send you some pictures of the children trying on the shoes, and later some pictures of our school, to which you have contributed in the past. 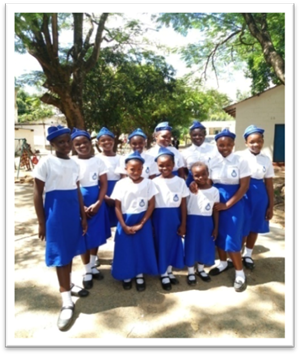 Our grade 6 pupils are busy composing a letter which we will be sending to you soon, telling you some facts about their life in Zambia. 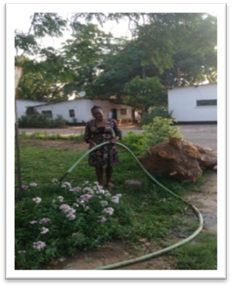 This also signals some more interaction between the schools in England and Zambia, which we hope will be fun and interesting for the students in both schools! 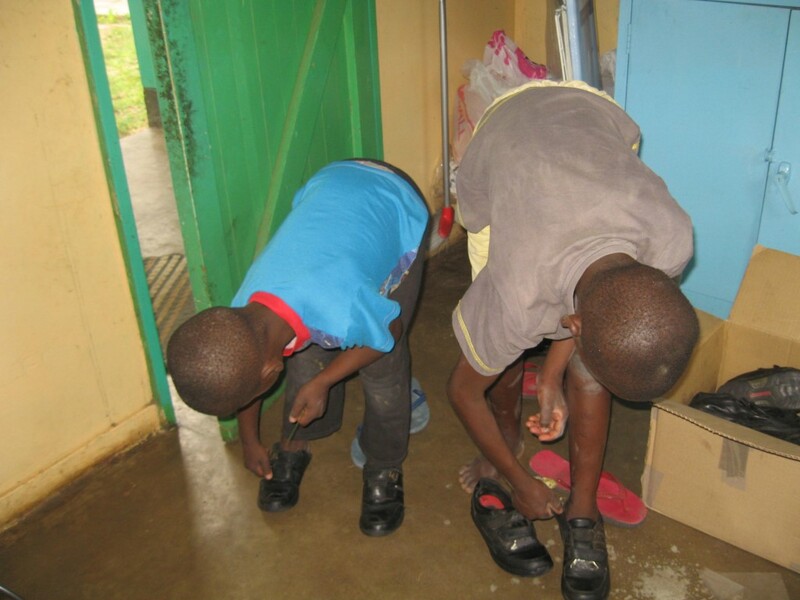 Here are a few more photos of children trying on shoes.